Action Packed was a trading card company that pinned its hopes on four new sets of hockey collectibles scheduled to launch during the 1994-95 season. Unfortunately for the company, none of its odd memorabilia items saw the light of day, mainly due to the 1994 NHL Lockout. 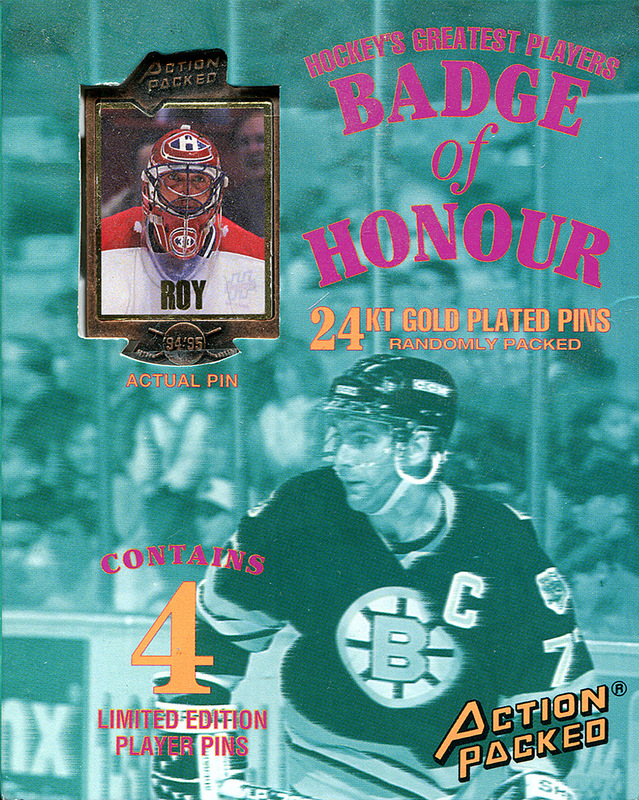 One of these ill-fated Action Packed items was … Continue reading "1994-95 Action Packed Badge of Honour Promo Hockey Pins"